Whether used as processing agent or to improve surface properties - Polyethylene waxes offer a lot of benefits.The range of DEUREX polyethylene waxes includes micro-sized waxes, finest air classified powders and granules. Also PE wax dispersions and PE wax emulsions are available. Besides non polar polyethylene waxes also polar oxidized waxes are available. HDPE, copolymere PE vinyl acetate waxes, polyvinylether waxes and hybrid waxes complete the range. Hybrid waxes combine PE waxes and natural sugar cane waxes as well as PE waxes and Fischer-Tropsch waxes. The product overview shows our current portfolio of polyethylene waxes. Here you can also find and download the respective data sheets. 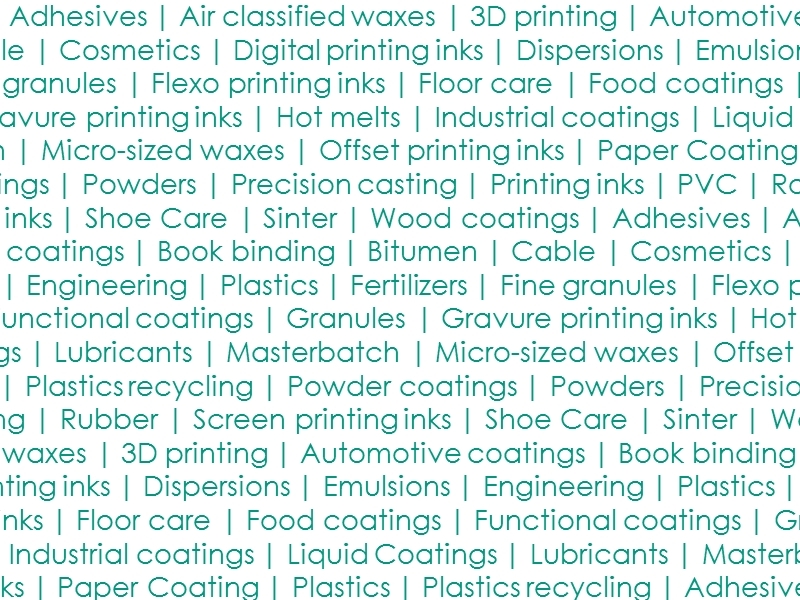 The product search helps you to find the perfect polyethylene wax for your industry. Of course, you can easily select your required properties. 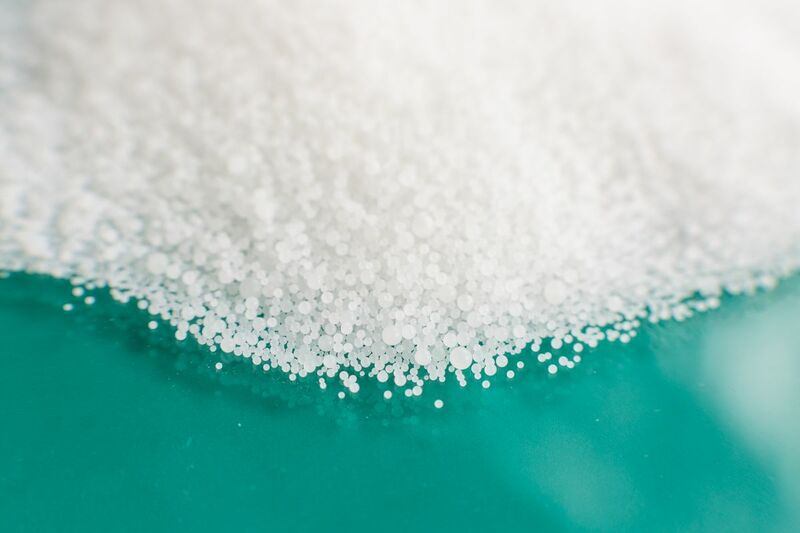 Polyethylene waxes are being produced through the highpressure polymerization of ethylene. Highly derived, very stable (temperature, pressure, UV light, chemicals) molecular structures are being produced. Final products made from these are very durable and do not yellow. The polymerization named after Karl Ziegler and Giulio Natta is carried out at low pressures and temperatures with the use of organometallic catalysts. This causes low-branched, crystalline structures. The term degradation means the targeted and controlled reduction of the molecular weight of polymers under pressure and temperature. The main purpose here is to improve the rheological properties and the specific formation of required carbon chains (molecular weight). Shorter carbon chains are flexible, offer good adhesion properties, are polishable and emulsifiable. With the aid of oxygen all synthetic waxes can be oxidized at temperatures usually just below the melting point. Oxidized waxes of the DEUREX EO series are used for the preparation of water borne emulsions and serve as internal lubricants. Walter Reppe was the name giver of the synthesis with acetates under increased pressure. The polyethylene wax is being produced according to the vinylation method.